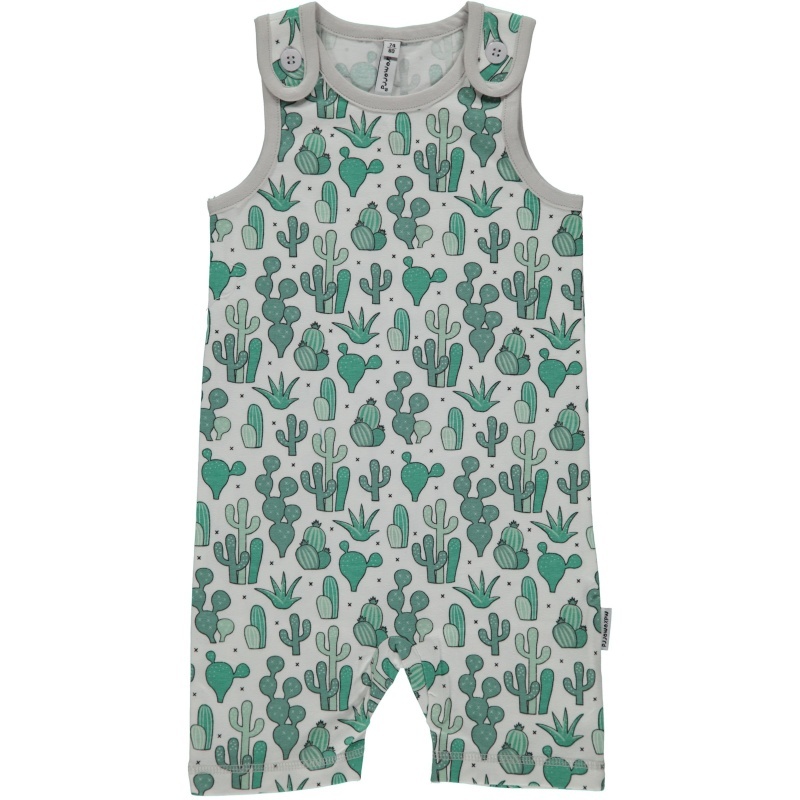 Maxomorra Short Playsuit. A Swedish brand made from organic cotton and produced under fair and sustainable conditions. Colourful, organic short legged dungarees look great in the summer. Shoulder straps with buttons. Soft organic jersey fabric, made with 95% GOTS certified organic cotton and 5% elastane. Maxomorra is a Swedish brand and they use European sizing. This is based on the height and given in cm. Age sizing is approximate, please measure your child for a more accurate size guide. Maxomorra clothes are made from organic cotton and produced under fair and sustainable conditions. Great for cloth bums too.